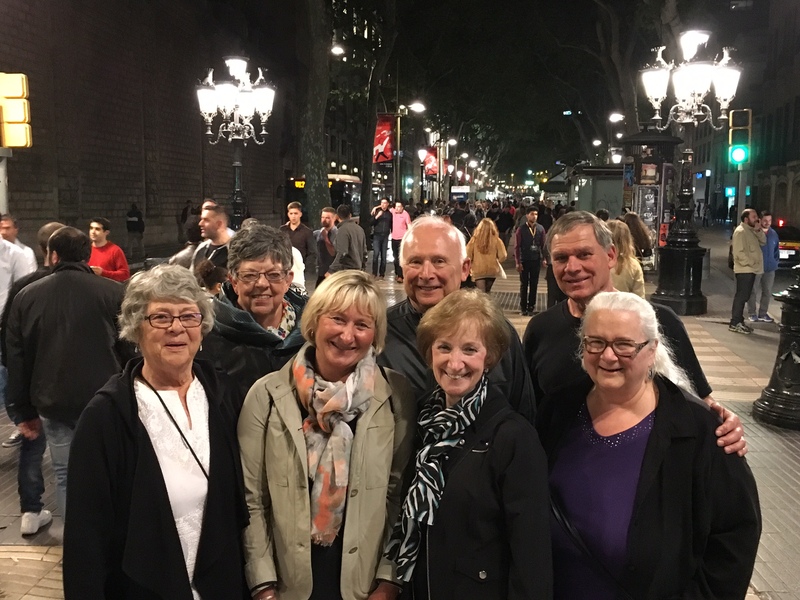 Late on a Saturday night on lively and wonderful La Rambla, Barcelona, Spain. The end of the SPAIN tour but the IMPERIAL CAPITALS OF EUROPE begins in BUDAPEST in a couple of days! Stay tuned!! 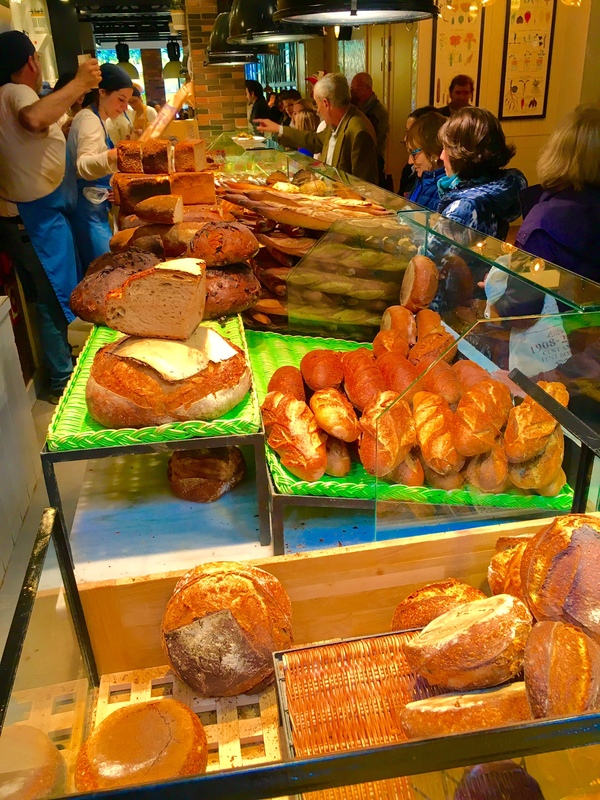 A very popular Barcelona, Spain, fixture: popular local bakery and coffee shop. 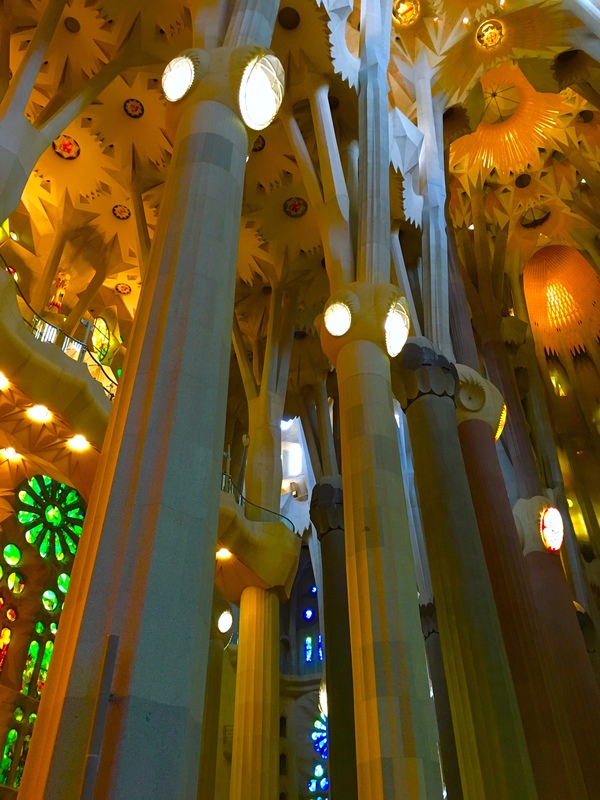 The stunning exterior of Gaudi’s modern Gothic La Sagrada Familia Basilica in Barcelona Spain. The 120-year-old building is scheduled for completion in 10 to 15 years. 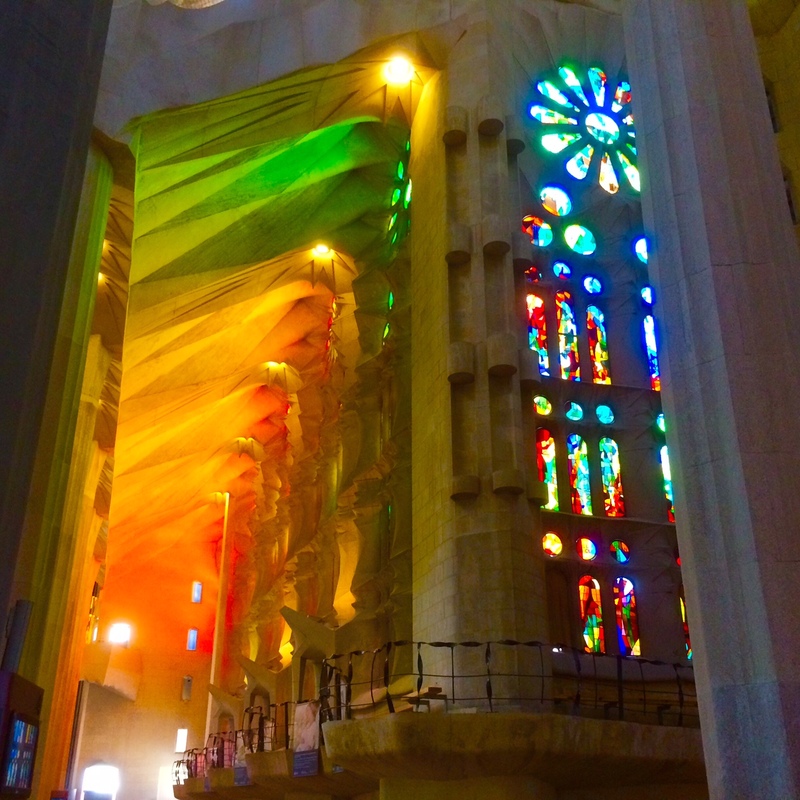 The light streams through the colored glass in Gaudi’s La Sagrada Familia Basilica, done in modern Gothic. Barcelona, Spain. 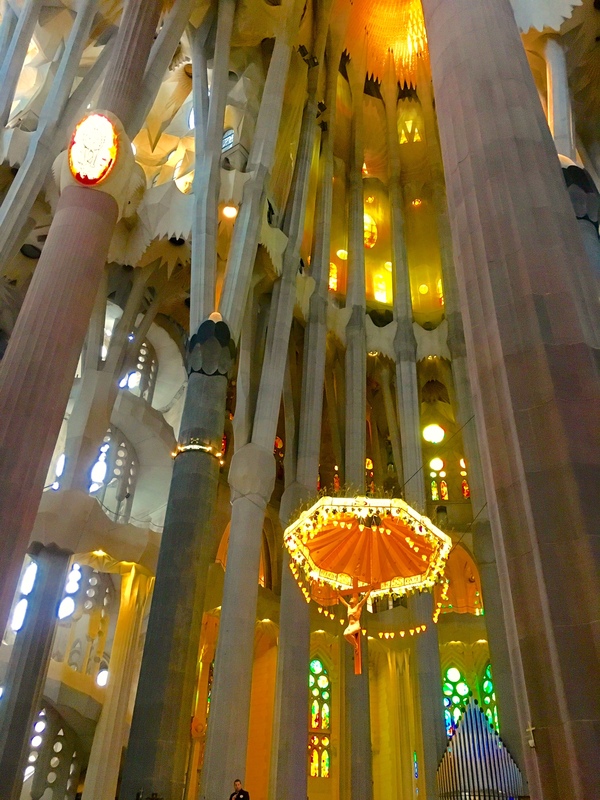 Floating above the main altar is the figure of Christ, in Gaudi’s La Sagrada Familia. There is no other church in the world quite like it. Barcelona, Spain. In a style called modern Gothic, La Sagrada Familia Basilica, is very different from the typical Gothic Cathedrals of Europe. 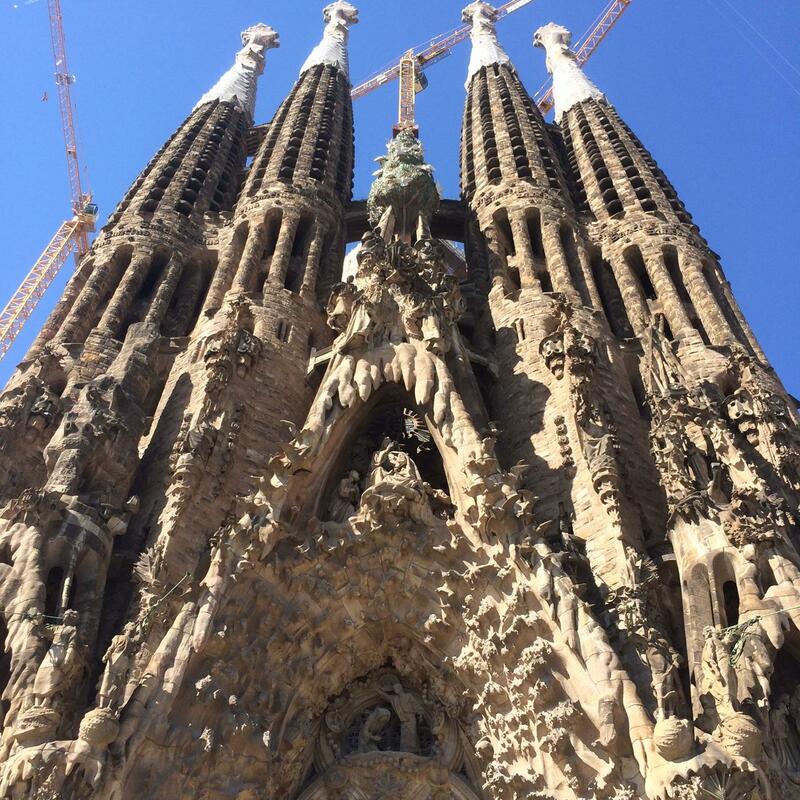 Anton Gaudi’s masterpiece is finally nearing completion within the next 15 years. Barcelona, Spain. 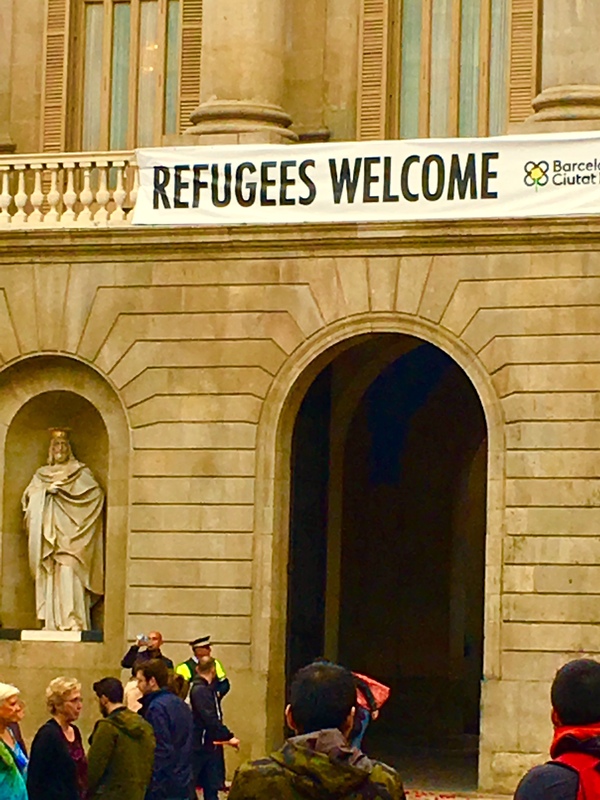 On the Barcelona City Hall, a sign of the town’s openness and tolerance. Barcelona Spain. 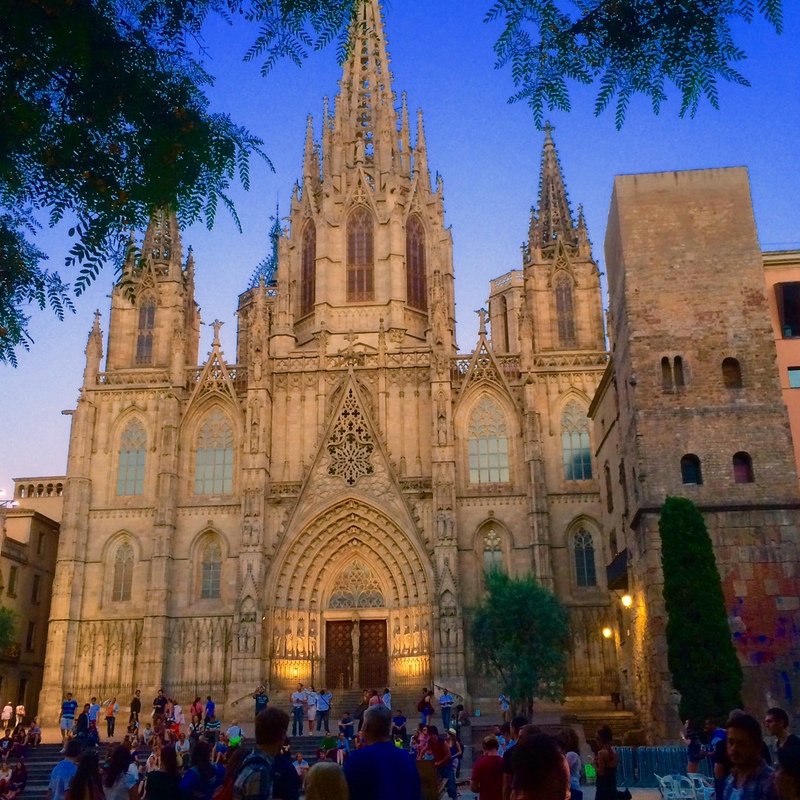 The Barcelona Cathedral at nightfall. Barcelona, Spain. 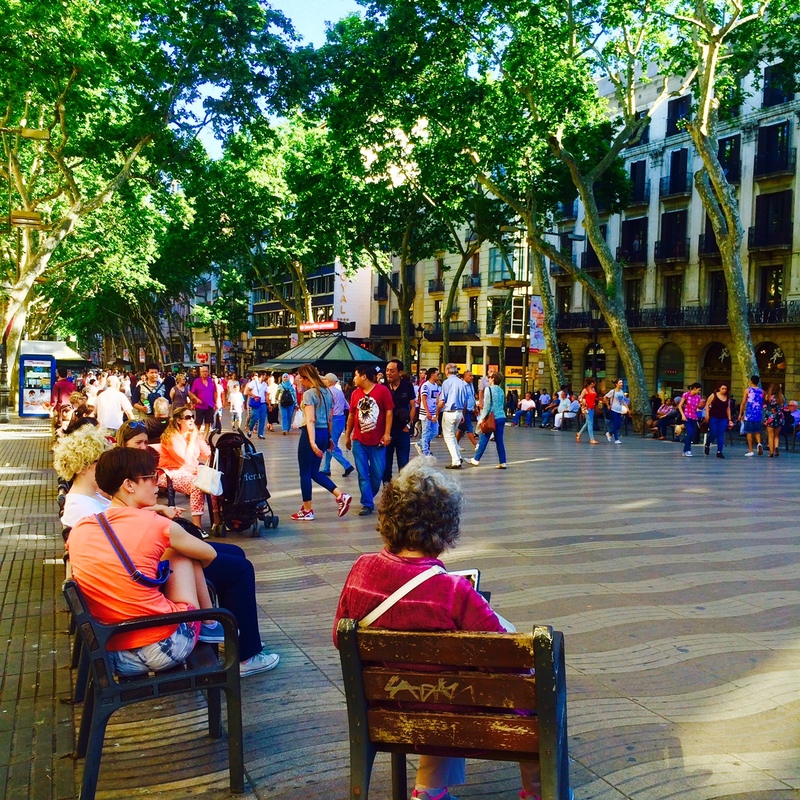 The shaded and peaceful pedestrian zone of Barcelona, Spain. By night it is a riot of exuberant activity. 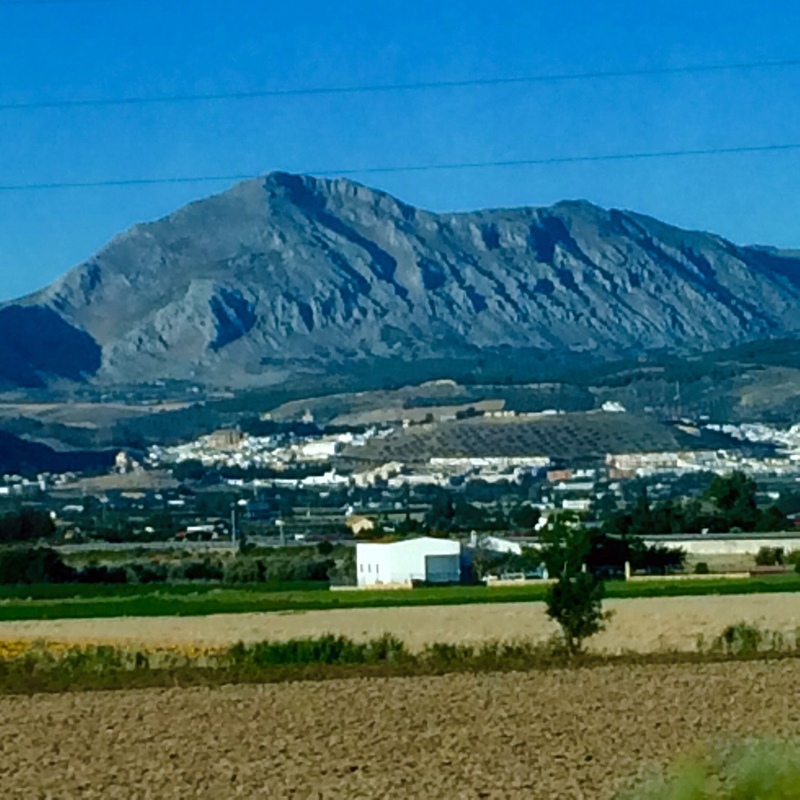 The remarkable high desert and mountain terrain of north east Spain.